In order to pay a tribute to Mahatma Gandhi on his 150th birth anniversary, India has pledged to become Open Defecation Free and clean by 2nd October 2019. 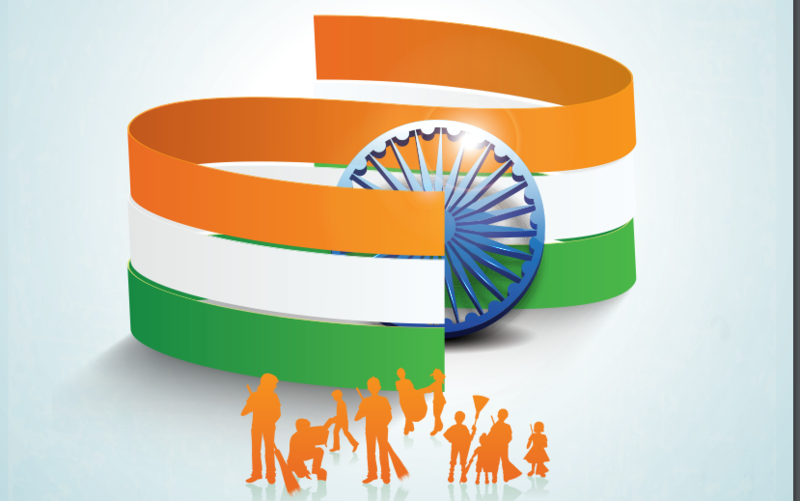 The Swachh Bharat Mission (SBM) was launched on 2nd October 2014 to accomplish this target and convert this mission into a citizen driven campaign. There are two components of the Mission, namely, Swachh Bharat Mission- Gramin for India’s rural centres and Swachh Bharat Mission- Urban for India’s urban centres. In order to foster a healthy competition between cities, the Ministry of Urban Development (MoUD) started the “Swachh Survekshan” survey in 2016 which rated 73 cities across the country. Following, the second round of Swachh Survekshan was conducted in January 2017, among 500 cities in India, with a population of 1 lakh and above. Solid Waste Management (SWM) including road sweeping, municipal solid waste from residential, commercial areas and from construction & demolition waste. Information, education and behaviour change communication (IEBC) strategy, and ICT based system to enhance Urban Local Body (ULB) operations. The Swachh Survekshan 2017 report was released by the Union government recently. Indore and Bhopal both from Madhya Pradesh, turned out to be the top two cleanest cities in India, while Gonda in Uttar Pradesh came out as the dirtiest city in India. As far as cleanliness is concerned, Rajasthan still has a long way to go. This was proven shown the Swachh Sarvekshan 2017 report(survey)-2017. In Rajasthan, 18 of 29 cities are ranked beyond 300 with 13 in the bottom 100. 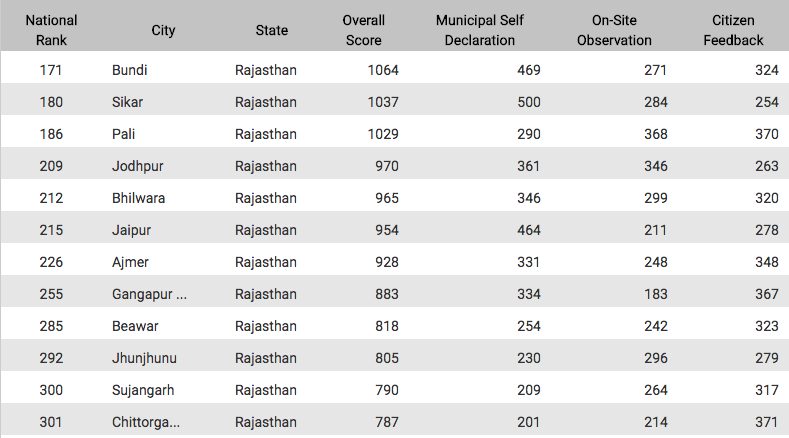 Not a single city from Rajasthan managed to secure a spot in the top 150 in the cleanliness ranking this year. Bundi, ranked at 171, was the best ranked city in the state. The city was followed by Sikar and Pali at 180 and 186 positions, respectively. Jaipur too failed to secure position in the top 200 and stood at a miserable 215. The four smart cities, shortlisted for the ‘Smart Cities Mission’ project, failed to find a place in the top 200. Udaipur, considered as one of the cleanest city in the state was ranked 310. Ajmer, another smart city, came at 226 in the survey. Kota came at 341 and became the lowest ranked among all four smart cities. Kishangarh stood the lowest in the list at 419. The low ranking of the state was anticipated. Only two cities, Dungarpur and Deoli, were declared as ODF by the Centre. Five towns in the Rajasthan also figured in the bottom 50. The results show that Rajasthan needs to step up efforts to improve sanitation standards in urban areas.